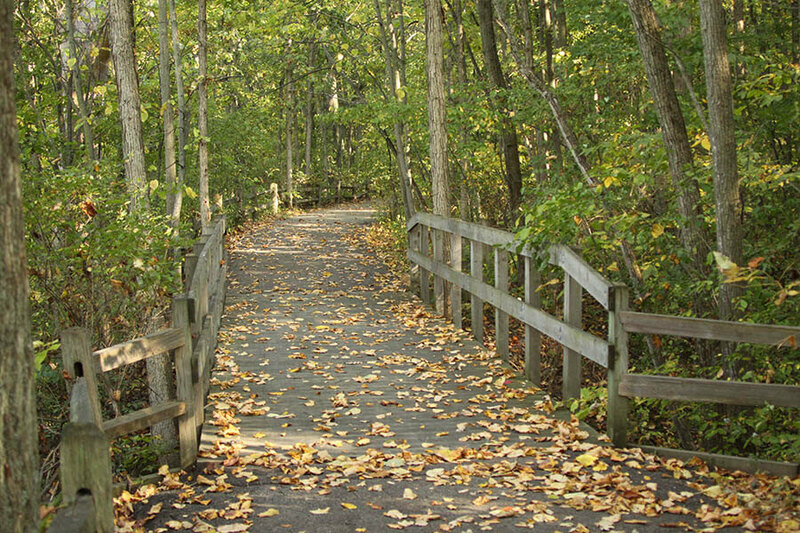 Come to Oakwoods Metropark to enjoy the scenic woods and picturesque Huron River. The Nature Center and surrounding trails are centerpieces of this 1,756-acre Metropark, located near Flat Rock. Take a hike through mature woodlands, along scenic overlooks of the backwaters of the Huron River, and to a 3-acre pond, all located within the Nature Study Area. At the Nature Center you can get up close to turtles swimming in a 700-gallon aquatic tank or look at a live snake. This Metropark also features an equestrian trail and a paved, hike-bike trail connecting to Willow and Lower Huron Metroparks for a 15-mile trail (30-mile round trip). While at the park, stop at the Cedar Knoll Picnic Area to hike the nearby butterfly viewing trail, designated as a monarch waystation by Monarch Watch. Bring your canoe or kayak to ply the river behind the Nature Center. Fish along the shore, at the Cedar Knoll Picnic area, or put in your rowboat at the fishing access.